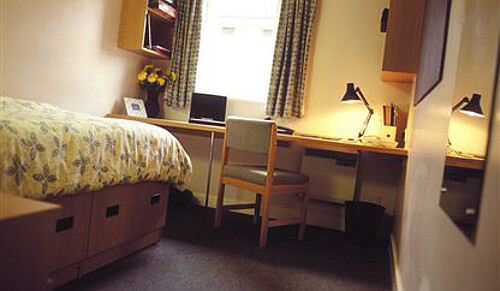 If you can't find what you are looking for, or no availability exists for your dates, please visit our sister website, www.manchesterbedbreakfast.co.uk, where you can see our range of bed and breakfasts and hotels in Manchester. Whilst there was a Roman fort where Manchester now stands, a town was not built until the 13th century and it was only in the Industrial Revolution of 18th and 19th centuries that it exploded from a medieval town. It had a piece of early development from cotton to rifles and much of the architecture associated with each remains to this day and was the subject matter of artists such as Lowry. The new Manchester wheel in the Millennium quarter offers the chance to see the city from an elevated height. 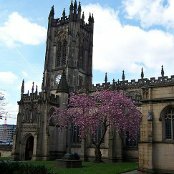 Historical attractions in Manchester include the Roman fort at Castlefield and the John Rylands Library with its 2nd century fragment of the New Testament up to the post-Reformation church of St Marys with its important art collection, via England's widest cathedral. The Air Raid Shelters at Stockport gained the award for Small Visitor Attraction of the Year at Manchester Tourism Awards 2010. The A57, A34, A665 and A6 connect to run as a ring road around the city, further out the M60 connects to the M56, M66, M67 and the M62. There are many train stations in Manchester- Manchester Oxford Road, Manchester Piccadilly, Manchester Victoria and Densgate Rail and Salford central rail. All are connected to each other and run regular services between one another and connect to London Waterloo. Manchester has its own International airport, from which there is a train into Manchester. It takes around 20 minutes to get between the airport and the city by car. 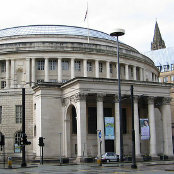 Many buses start their journey or pass through a Transport for Greater Manchester operated bus station where timetables are available for all bus services running in Greater Manchester and can be obtained online also. National Express runs coaches to Manchester on a regular basis. There is evidence of Bronze Age activity around Manchester in the form of burial sites.The Roman fort of Mamucium was established c.AD 79 near a crossing point on the River Medlock. There was a castle in Manchester overlooking the rivers Irk and Irwell, where Chethams School of Music stands today. By the late 13th century the Grelleys, who were barons of Manchester for two centuries, had replaced the castle with a fortified manor house. Manchester became a market town in 1301. In the 14th century Manchester became home to a community of Flemish weavers, who settled in the town to produce wool and linen, thus beginning the tradition of cloth manufacture. 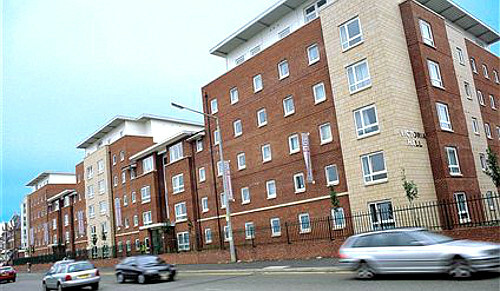 Manchester remained a small market town until the late 18th century, and the beginning of the Industrial Revolution. In the 19th century, championed by local industrialist Daniel Adamson, the Manchester Ship Canal was built as a way to reverse the lack of trade due to Liverpool. It gave the city direct access to the sea allowing it to export its manufactured goods directly. In the Second World War Manchester played a key role as an industrial manufacturing city, including the Avro aircraft factory which built countless aircraft for the RAF, the most famous being the Avro Lancaster bomber. As a consequence of its war efforts the city suffered heavily from bombing during The Blitz in 1940 to 1941.